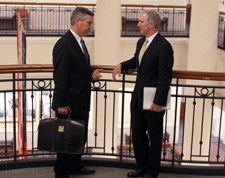 As reported in Massachusetts Lawyers Weekly on June 17, 2013, Jeffrey N. Catalano, a partner with Todd & Weld LLP, obtained a jury verdict in the amount of $750,000 (including interest and settlement of an unfair insurance practices claim) on behalf of his client who suffered cognitive decline after his car was struck from behind while the client was stopped at a red light. The client, a 72-year-old corporate vice president, returned to work two weeks after the crash, but experienced difficulty with memory and concentration and had to retire two years earlier than he had planned. Mr. Catalano presented the jury with neurology and neuropsychology experts who testified that his client suffered a mild traumatic brain injury from the accident, which impacted his memory and executive functioning skills. A co-worker and the plaintiff's primary care physician testified to the major changes in the plaintiff's demeanor after the accident. 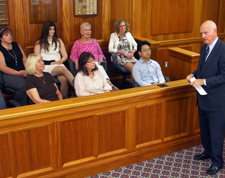 Despite the defendant's contention that the plaintiff's cognitive issues were due to his age, Mr. Catalano persuaded the jury to return a verdict in favor of the plaintiff.